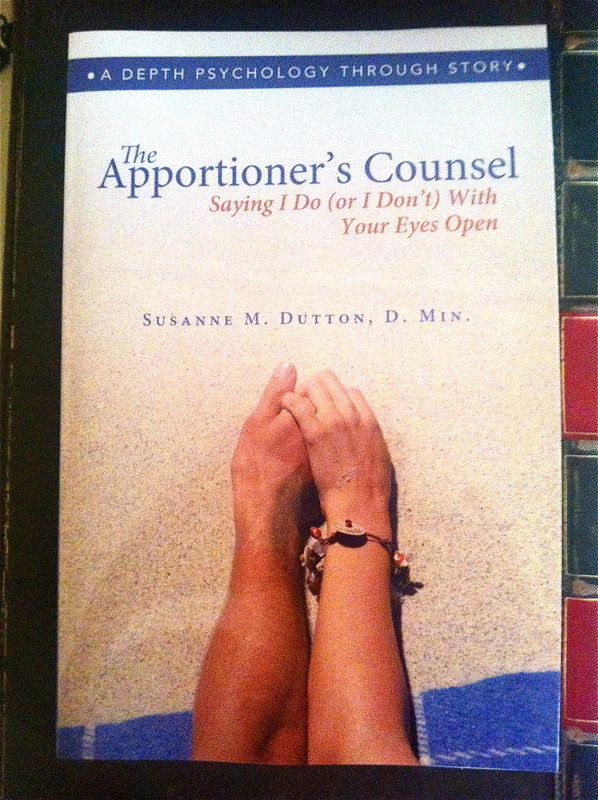 Today I’m welcoming Susanne Dutton, author of The Apportioner’s Counsel – Saying I Do (or I Don’t) with Your Eyes Open. Thank you for stopping by, Susanne! All about Susanne . 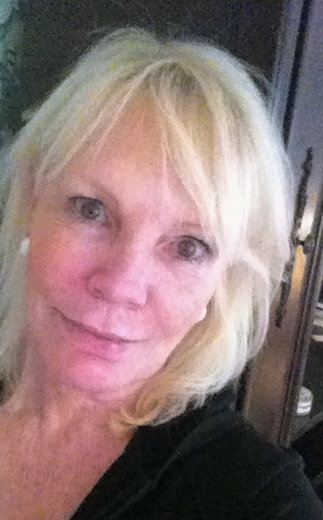 . .
Susanne M. Dutton, D. Min. Pastoral Counseling, has served as a professional pastoral minister, hospital chaplain and mediator in the courts of Virginia. Born in Des Moines and raised just south of San Francisco, she lives today in a leafy old neighborhood of Charlotte, North Carolina, where she writes psychology, fiction and poetry. She is married to a brave man named Tom. Together they have two—even braver—grown children, toughing it out in the art in a cold northeastern city. Susanne blogs at Longerstory.com and Jungworks.org. My mother says it started out cute. The black board on our back porch, with the alphabet printed along the top, was the instigator. Pudgy-fisted four-year-old Susie found some chalk and took to copying random letters of the alphabet onto the board at her own height, just over the chalk tray. She put the letters in groups so they looked like words in books, but she didn’t know whether they were actual words. That’s when the cuteness went out of it, because Susie’s mother and father were summoned continually, day after day, to answer the question, “Did I make a real word?” Later on I morphed into the kid with a secret book of highly emotional personal poetry jammed under her mattress and then the girl who spoke to no one in high school but worked her way through the library starting with A. Good writing inspires me, in any genre or style and on any subject. Strangely, it’s not people or events out in the world that inspire me, but the things that happen when a good writer gets ahold of them. I hope to be a person who succeeds at those things in her own way. 3. How did you come up with the idea for your current story? I hate to admit it, but The Apportioner’s Counsel began as an assignment. I was a member of The Muse Writing Center in Norfolk, Virginia. The writers in the studio class were asked to use any photograph at all as inspiration. The photo I used showed a lovely older woman at a desk, the same photo my character Cass Lott, a psychologist, finds in an old file at Stanford University in the beginning of my story. 4. Tell us about your writing process. Do you outline, or are you more a seat-of-the pants type of writer? I have written in both ways, seat-of-pants and outline. Outline only works to get me started, as something I can trash when I realize what’s really happening in the story. Seat-of-pants begins with an image and the characters that are somehow summoned to populate the world of the image. I try to let the characters handle the story and make it true to themselves. Is that too mystical? Most of my stories grow from the middle. When the middle is good, I make sure the beginning leads to it. After that the right ending is obvious to me, but almost never as I had imagined. I have two. The first is that I am a SLOW writer, as in slower-paced. I like slow writing because I honestly believe it’s like slow cooking as opposed to fast food. The results are more satisfying for the writer and the reader. I stir my sauces at a low heat for a long time and my stories are the same. I don’t know that I actually finish fewer works than I would otherwise, but there certainly is a penalty. I put in many hours into what I write and I spend all afternoon, often seven days a week at my desk. The second quirk drives some people crazy. I make up words. Don’t worry. The Apportioner’s Counsel has only two out of the 33,000 words. Most of my inventions are just sounds—as in threll-thud-ka-dunc, the sound of a wheeled suitcase going down a sidewalk. I did make up a verb, too: awn. When you blink, two things happen to your eyelids. They flick and awn. Let’s face it, if a word is immediately understood, then it was ready to be invented. 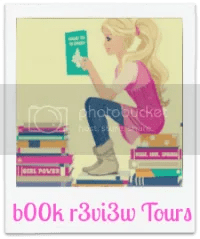 I’ve got The Burglar of Light, a funny little story about a woman who gets into the in-home cosmetics sales business and begins to steal things from her client’s homes, only to find that fate has a heroic task in store for her. I’m also writing a new blog, LongerStory.com, thoughts and stories about youth, aging and creativity.